Could be considered: Josh Fields, Dylan Floro (if he hadn’t disappeared over the past week, I’d have him instead of Madson), Zac Rosscup, Julio Urías, Pat Venditte, plus position players Tim Locastro or Chase Utley. Late on Tuesday evening, it had started to feel real, more real than it had felt in a long, long time. 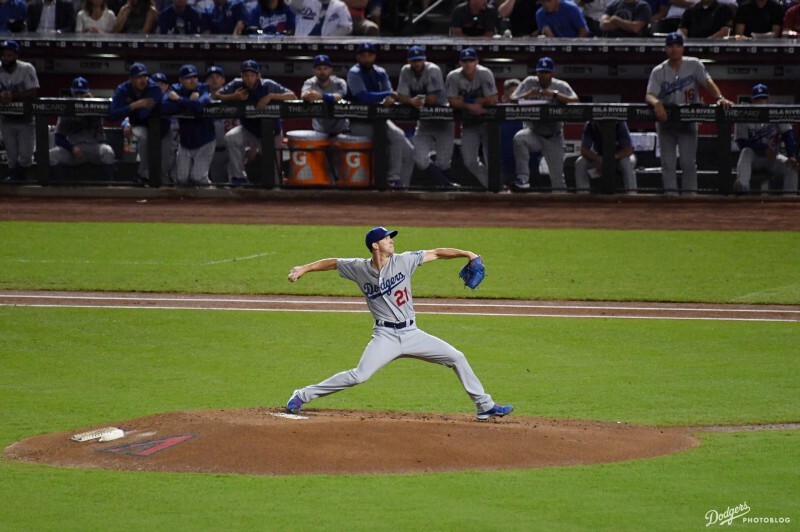 Three nights earlier, the Dodgers had nearly stolen Game 1 of the National League Championship Series, despite their most disadvantageous pitching matchup and coming off an exhausting National League Division Series. No matter — over the next two ballgames, the Dodgers completely shut down the best team in baseball during the regular season, allowing not a single Cub to score. The offense pushed across six runs in Game 3, the pitching was as rested as it had been in two weeks. Los Angeles was two games away from the World Series with four to play. 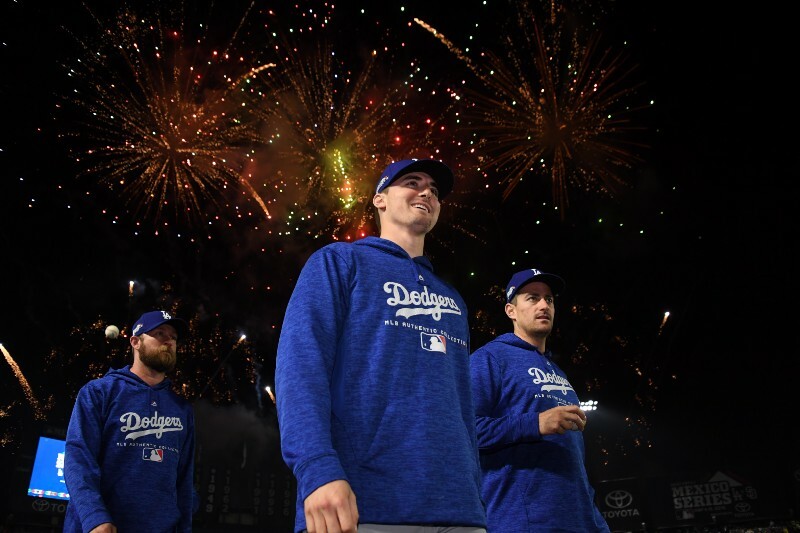 Four nights later, the Dodgers went to bed with their season over, left to ponder how far they had gone, how close they had come and how short they fell. 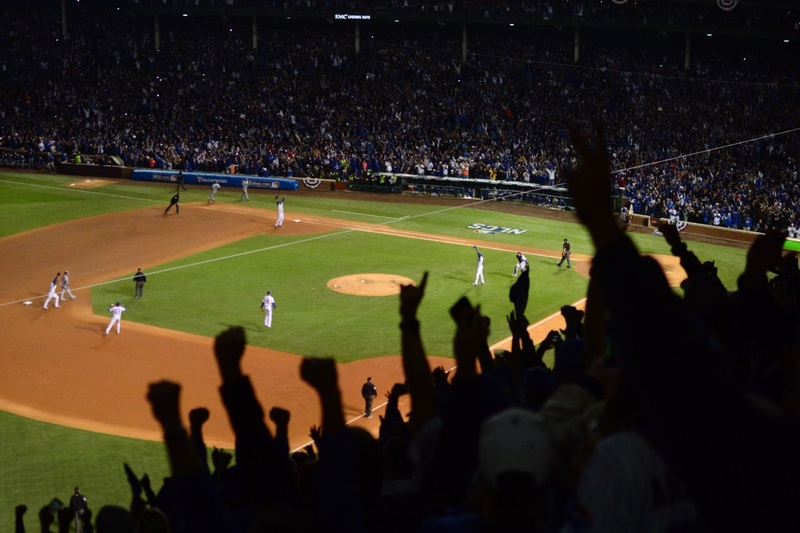 Undeniably, emphatically, the Chicago Cubs have made 2016 their year. 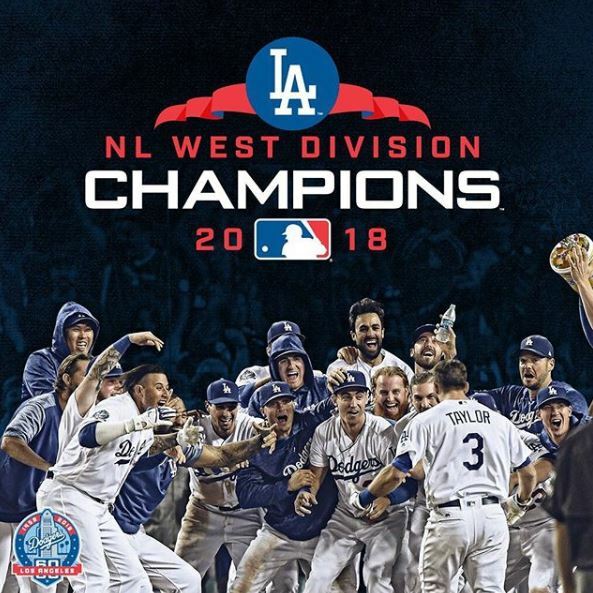 And like Al Downing allowing Hank Aaron’s 715th home run in 1974, the Dodgers’ ultimate role in 2016 turned out to be as a springboard to history. Putting the Dodgers on their heels from the second pitch of the game, the Cubs hosted a nine-inning Wrigley Field parade to a mad celebration of their first World Series in 71 years, capturing the National League pennant with a 5-0 victory. 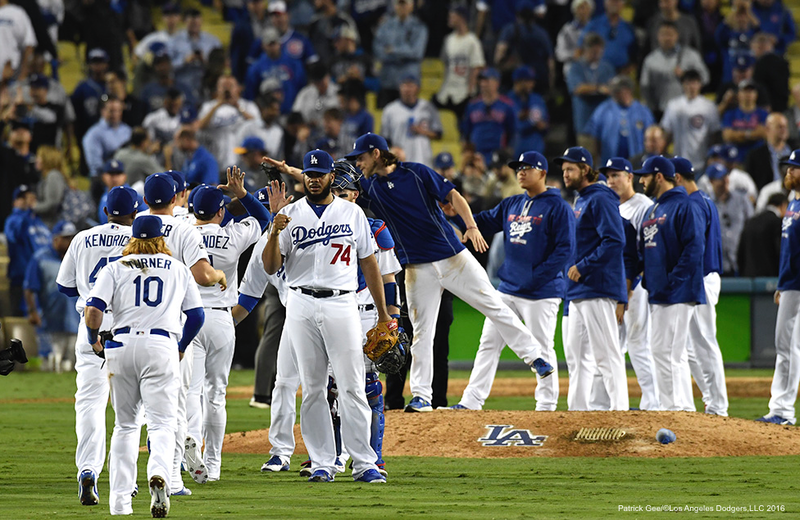 For the third time in the past 28 years, the Dodgers came within two wins in the National League Championship Series of ending their own Fall Classic drought, their fans’ own suffering a pale footnote to the Windy City celebration triggered by the final out. Chicago is giddy with enough excitement and anticipation to spread all over the city’s famous hot dogs, if they weren’t so particular about what you put on their hot dogs. Wrigley Field is jumping. The streets around the old ballpark are rollicking. At once confident and paranoid, Chicago is a quaking nerve brought to life, and the roar at Game 6 of the National League Championship Series will be deafening beginning with tonight’s very first pitch. And stepping into the batters’ box for that very first pitch will be none other than Andrew Toles. 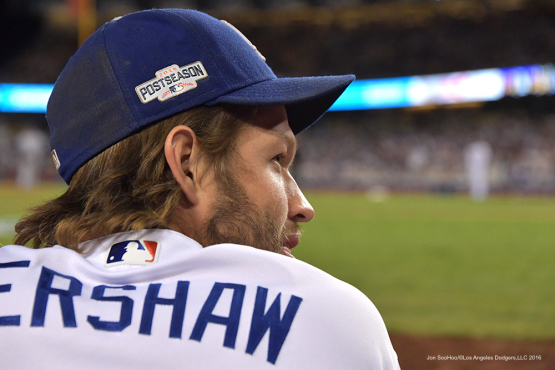 Will Kershaw bust seven-inning barrier in Game 6? 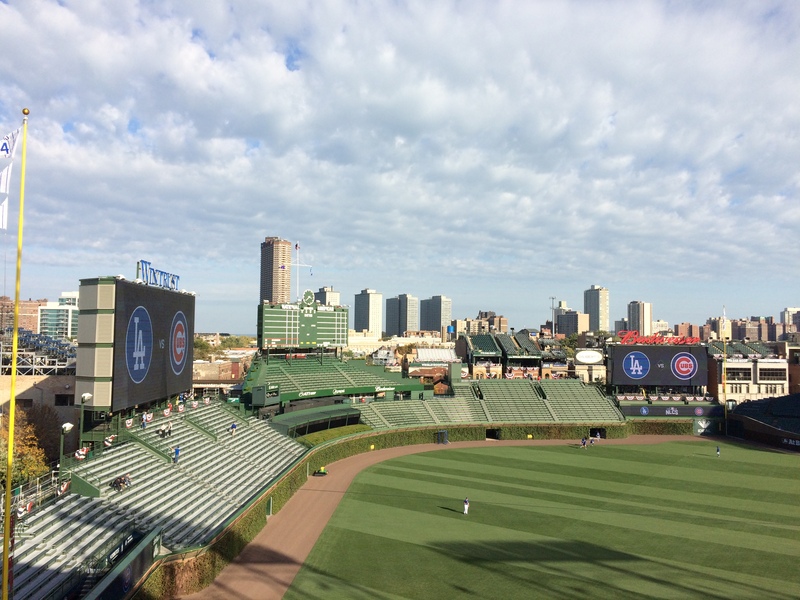 Dodgers at Cubs, 5:08 p.m. The Dodgers have one big mountain to climb this weekend in the National League Championship Series, and in the process would surely benefit from Clayton Kershaw climbing a smaller one. 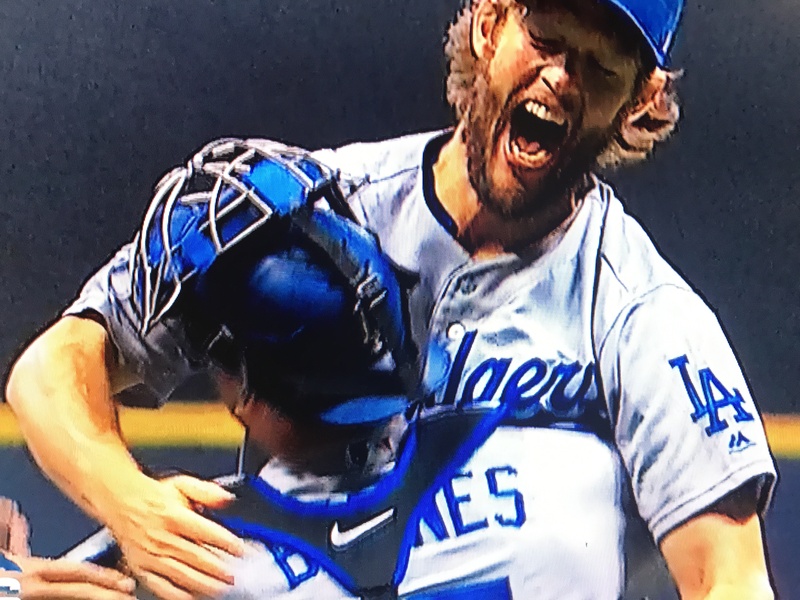 In 13 career playoff starts, Kershaw has completed the sixth inning 10 times, the seventh inning three times and beyond … not at all. 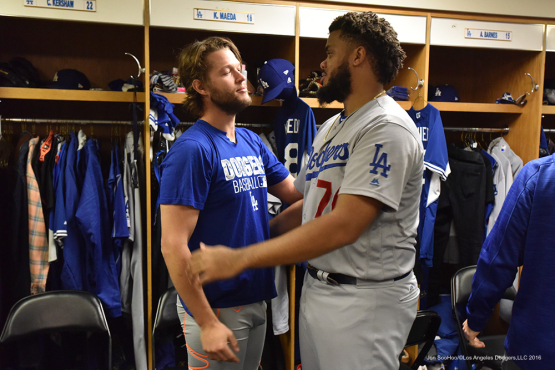 While Kenley Jansen is more than ready to go two innings in relief tonight, every extra out Kershaw might provide could be a benefit. And pitching on five days’ rest against a Cubs lineup he just shut out over seven innings, all is possible. Two of Kershaw’s seven-inning starts came on short rest, when the Dodgers were glad for any effective innings they could get from their ace. He obliged, allowing one run in Game 4 of the 2015 National League Division Series before going that one better this week in NLCS Game 2. 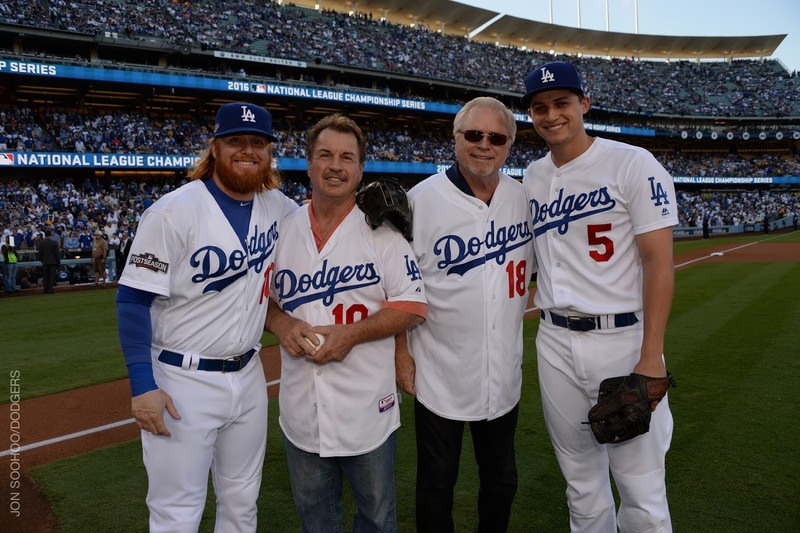 The other was the opening game of the 2013 NLDS, when Kershaw struck out 12 while throwing a career postseason-high 124 pitches in a 6-1 victory over Atlanta. Before Kershaw went on the disabled list this summer, length was one of his many calling cards. Nine times from April to June, Kershaw got at least one out in the eighth inning and seven of those times, he finished the eighth. That was Cubs manager Joe Maddon after Chicago lost Games 2 and 3 of the National League Championship Series, and it’s no different in substance from what Dave Roberts said after the Dodgers’ Game 5 loss. While the Cubs had breathing room that the Dodgers now lack when Maddon made that statement, it was the steadying approach — the choice of poise over panic — that said it all. Given a chance to rebound, the guys who weren’t producing did just that. As the Dodgers head to Chicago to save a dream, it’s worth keeping this in mind. This is the team that rallied from eight games back in the NL West, the team that rallied from a 2-1 deficit in the National League Division Series, the team that, up to now, has won every must-win game it has faced. 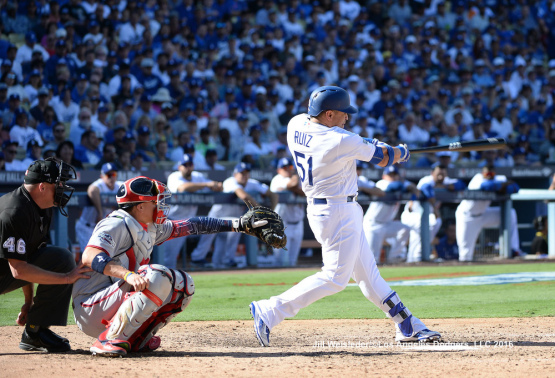 It’s a small change in the batting order, but at the same time, the Dodgers’ most significant of the postseason. 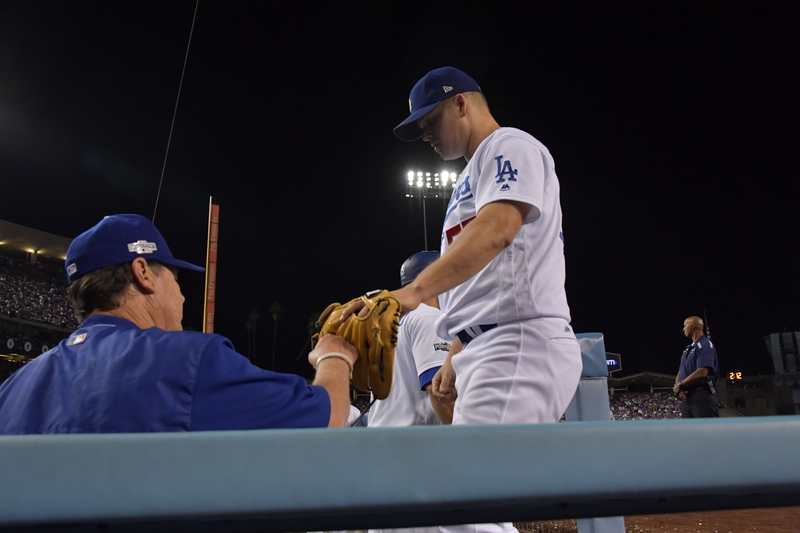 Against Cubs lefty Jon Lester tonight, Dave Roberts has moved Kiké Hernández to the leadoff spot, with Carlos Ruiz batting fourth, Howie Kendrick fifth, Yasiel Puig sixth and Adrián González seventh. 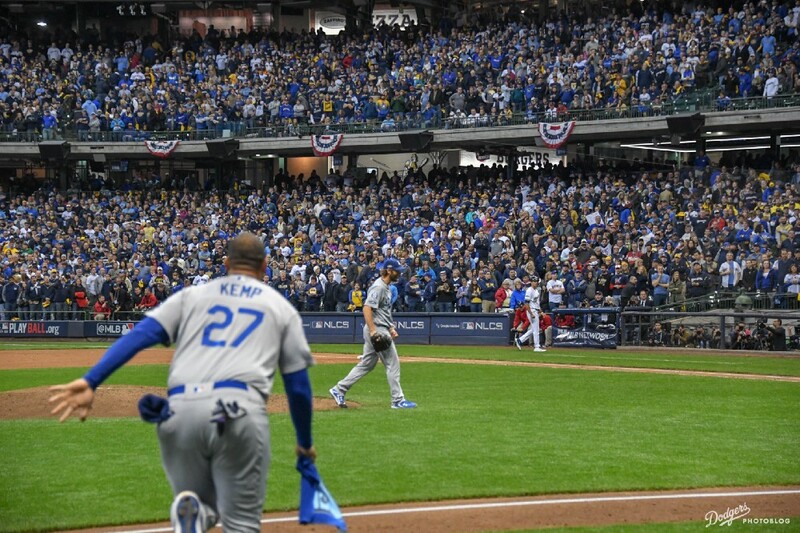 In his first postseason appearance of 2016, Hernández walked twice and lined out against Lester in Game 1 of the National League Championship Series, and Roberts said he liked the quality of his at-bats. Ruiz is starting at cleanup for the first time as a Dodger and the first time at all since May 16 with Philadelphia. Ruiz is 2 for 7 with a homer in the playoffs, including an 0-for-2 start against Lester. Three of the most important numbers in the National League Championship Series have been three, four and five. Those numbers represent the three spots in the Chicago order that Dodger pitchers have dominated. Chicago’s 3-4-5 hitters are 2 for 32 in this series. In Game 1, Anthony Rizzo, Ben Zobrist and Addison Russell went 1 for 12 at the plate with a walk. That same trio went 0 for 9 with a walk in Game 2. The Cubs changed things up in Game 3 and went Zobrist, Rizzo and the hot Javier Baez and still managed to only go 1 for 11 with a walk. The lone hits were a Zobrist double in the five-run Cubs eighth inning in Game 1 and a broken-bat infield single from Rizzo in the ninth inning in Game 3.